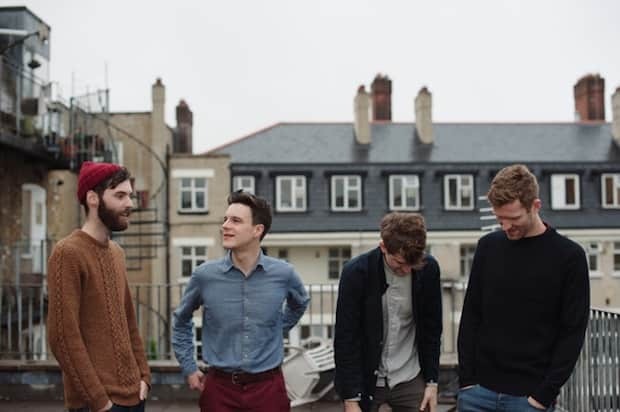 The Paris-loving, London-based band CYMBALS have kindly included a 45-second introductory string section to their new single, "The End," a soothing start to any slow day. Or better yet, to a long and happy night, with those strings giving rise to proper luxe disco and "dancing with your eyes closed," as singer Jack Cleverly recommends. "The End" comes out August 5th, leading up to the release of CYMBALS' third album later this year via Tough Love.